One of the biggest nights in Daniel Sedin's career came outside of a hockey rink, an evening where he was rightfully recognized for his outstanding individual accomplishments. Despite having to contend with an emotionally draining Game Seven loss in the Stanley Cup finals, Sedin, who scored 41 goals and led the NHL with 104 points, has plenty of fond recollections of the season that was. Not only did he skate away with the Art Ross Trophy as the league's top point-getter and was a finalist for the Hart Trophy as the game's MVP, Sedin was recognized by his peers as their choice for the Ted Lindsay Award, which recognizes the ‘most outstanding player' as voted by the members of the NHLPA. Sedin was gracious even when his name wasn't called. All in all, Sedin, who cracked the 100-point barrier for the first time, was satisfied with how the Canucks fared, just missing out on delivering Vancouver its first NHL championship. But for all the fanfare surrounding his hardware haul in Las Vegas in June, Sedin, who had 20 points in 25 games in the 2010-11 playoffs, was quick to note that he's ready to move forward. If last year's performance is any indication of what Sedin, who was named an alternate captain during a pre-game ceremony to celebrate the team's 40th anniversary on October 9, will bring to the ice in 2011-12, Canucks' fans have plenty of reason for optimism. 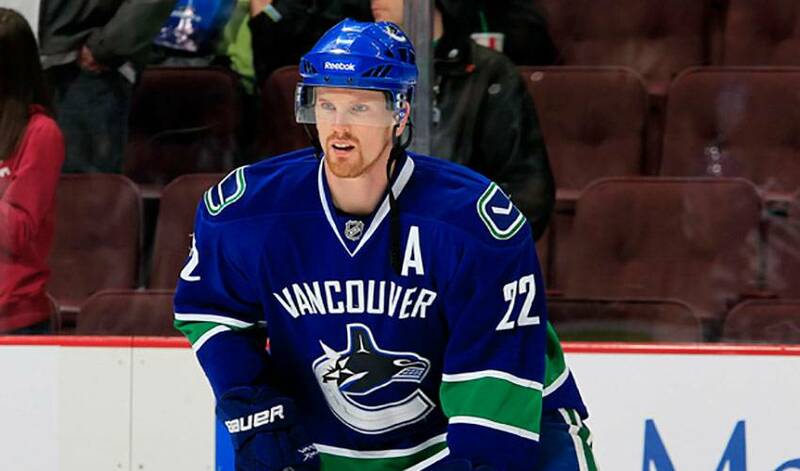 On January 10, Sedin was named First Star of the Week after scoring five goals and seven points in four games. During that timeline, he scored the 10,000th goal in Canucks franchise history in a 3–1 win against Calgary. Later in the month, he competed in his first All-Star Game. He played with Canucks teammate Ryan Kesler against Henrik, who was a member of Team (Nicklas) Lidstrom. In the Skills Competition, Daniel took the shooting accuracy competition. With one goal and one assist against the Los Angeles Kings on March 31, he became just the fifth player in team history to reach the 100-point mark in one season (Pavel Bure, Alexander Mogilny, Markus Naslund and Henrik Sedin are the others). Sedin was honoured with the Cyclone Taylor Award as the team's most valuable player (MVP) and his third Cyrus H. McLean Award as the team's leading point-scorer. He also received the Viking Award as the league's best Swedish player, following in the footsteps of Henrik who received it the year prior. A team that is focused on taking things one small step further in 2011-12, a group focused on the possibilities that lie ahead, rather than the chances that eluded their grasps. Sedin knows it's time to move on. His teammates will undoubtedly love to see a repeat performance of 2010-11. His opposition, however, aren't quite as eager to see their choice as MVP work his magic once again.